Emma loves her Crate–thank goodness for that! I owe a majority of our success to crate training. Throughout the moving process the crate was a blessing. You know how dangerous it can be to be packing boxes (things laying around that aren’t Weim safe), moving boxes (people leaving doors open and more non-weim safe items) and unpacking boxes, and because Emma had learned to love her crate it was a safe and comforting place when it needed to be. It also was a great tool when she was adjusting to the new homes because she had a constant that she could go too. However, she did better with the move than I think we did. I think the only thing she cared about was that we were with her. She really seemed to care less that her entire environment had changed overnight. Breeder’s Note: We understand how busy life can become. Thank you for remembering us in the midst of all you faced this year. We wish you many more years of joy, and fewer mishaps. Trevi’s One Year Birthday is April the 19th. I think Trevi will end up around 70 lbs. 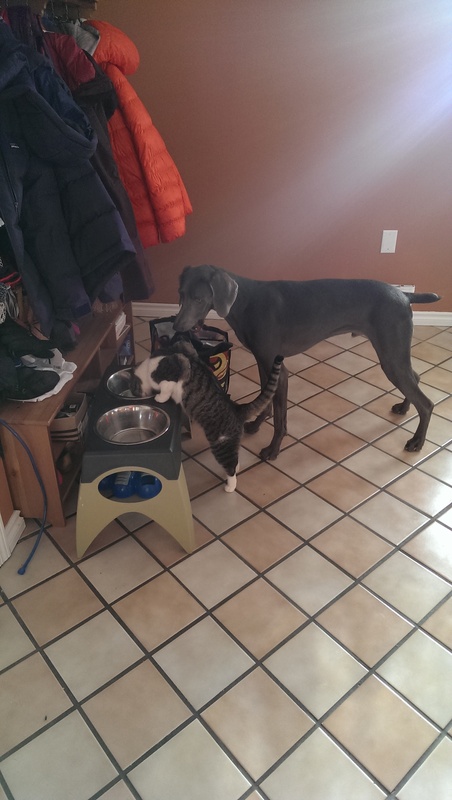 Currently he weighs right at 63 Lbs and Oscar is 66 Lbs–it makes for an even match. As you know we spend a great deal of timing hiking, exploring, and doing things outside. Dad has to work, but whenever we can, we are out and about. Nevertheless, there are those times I can find comfort of the best kind. I stay inside when Mom and Dad want to; I am good boy. Artemis (“Ari”) has been an amazing addition to our family. We had a four-year-old weim previously who we unfortunately lost to cancer. 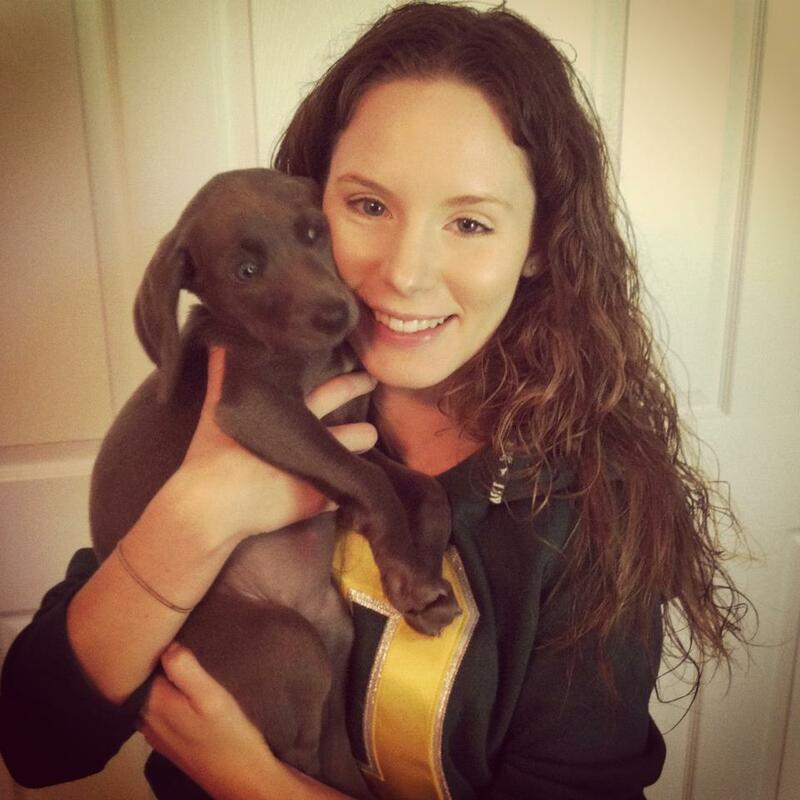 I didn’t think I was a big dog person until I met weimaraners, and now I can’t imagine our family without one! When we lost Leo, we immediately started looking for breeders and found OwyheeStar. Lucky for us, there was a pint-sized beauty available! Well, at 18 months today, she’s not so pint-sized anymore! From day one, we were calling her a “sweet pea,” and she very much is. She’s also incredibly intelligent and stubborn, but wants to please the humans so badly that she (eventually) does what is asked of her. She is starting to burn off some of the puppy energy so she can actually lay down on the couch or the floor for about five minutes before needing to run laps around the house again. Ari LOVES to play, especially with her little sister (a chihuahua), paper products, her baby brother (a cat, when he lets her near him), and the myriad of dog toys available (yes, in that order). One of her favorite past times is grabbing something she’s not supposed to, and then running around the house with it because she knows she’s faster than mommy, then dropping it somewhere for later so mommy can’t find it (hence the stubborn). Ari can reach all of the windows in the house, and will actually hop up and watch us if we run outside for a minute. If we go to a different side of the house, she will find another window to watch us through. It’s pretty entertaining, though at night she makes a kind of creepy shadow. A true velcro dog, Artemis will sit ON your feet until you pet her enough (we call it “acknowledging her existence”). She also does this dog equivalent of a hair-flip when she sits if she REALLY wants your attention. Occasionally if you say “pretty girl,” she’ll do it on command. She’s quite the character, and we are so happy we were able to bring her home. Thanks, Cliff and Shela! What the Weimaraner sees, says a lot about you! Do you ever wonder what they are thinking? We know they are mulling their situation over; but to what end? Words whisper, whereas photos can elicit a strong reaction–even shout at you! Here is Oscar’s story in a few pictures. Do you think he is cherished? We (our family) purchased a puppy from you in 2012. Misty is about 15 mos. now and of course we just love her. Misty has kind of a small frame and is 58 lbs. Sky, our other Weim that we bought from you, is about 75 lbs. (Now- 4 years old). I do like the fact that Misty is a bit smaller. Sky is bigger, so it’s nice to have the two types-or sizes. I have been spending way too much time cuddling with Misty on the couch and watching TV!! She is a great stress reliever. Actually, it was my brother Garon, who purchased the Weims. I am his sister, and we live on the same farm property, so Misty tends to roam between the two households. I have included some pictures of Misty (15 mos.) and Sky(now about 4 years old) that you may want to use for your website/blog, feel free. They are such special dogs with great temperaments. I can’t imagine life without a Weimaraner. 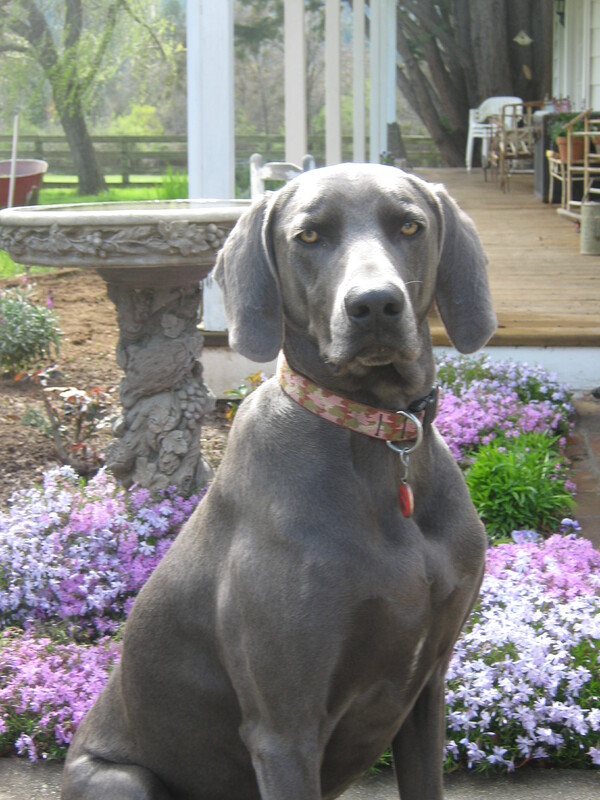 Molly-A blue Weimaraner competes and nets a prize one. The Treasure Valley North American Versatile Hunting Dog Association Late Fall (October) Test Results are in, and we are thrilled to announce that Rodney Behm and Molly earned a Prize I (107 points). Her performance was stellar across the board with the exception of a slightly less than perfect water-work score where she earned 3 points instead of 4. Note: A couple of points that should be kept in mind when reading this blog– 1. This is not a competition. Everyone who participates can earn a Prize if their versatile hunter meets the criteria. The criteria is not easy, but everyone can Prize. 2. N/A is natural ability. Natural hunt potential must be developed to participate successfully in these hunt tests. Rodney Reports on Molly in the field and around the house…….. Working with Molly has been fun. We are happy with the outcome. Here are some insight to our success, as well as some comments on our life we share with Molly. Natural Ability (hunt-potential) is important. However, aside from her natural skills ie nose etc, I think what has made her successful is her desire to please me. It’s our special time together. She’s knows when I lock up the other dogs and grab my hunting bag its “go time”. From an obedience standpoint of view– she’s a pleaser, but that doesn’t mean she doesn’t have her own mind. If you give her an inch, she’ll take a mile. I’ve been strict in the home so that the house is orderly, but haven’t been too tough with her in the field. That’s going to change now that we have made it through the first set of tests. Our future plans when it comes to the hunt tests— I’ve spent the last week or so thinking about the future with her. At first. I wasn’t sure I wanted to move on to the advanced tests. I’m reconsidering that now. I think I might train her for Utility. We’ll see how she takes to that level of training. In the end, I think hunting is about the dog, not only about me. I want her to have fun. I want that to continue being our special time. As long as we are both enjoying ourselves, then we’ll keep going and see where it takes us. On the home front — We’ve got three kids at home with varying ages. Lots of friends constantly stopping by. She enjoys the visitors and likes to play with her doggy daycare friends as well. She is very protective of me though. If a stranger tries to approach me in a strange environment, she’ll let him know to back off. Cliff has seen a little bit of that at the tests with the strangers. I think its important to remember that for all of the dog’s strengths, there will be areas for improvement. No dog is perfect, so we’ll keep working on that and try to make her the best she can be in every element. 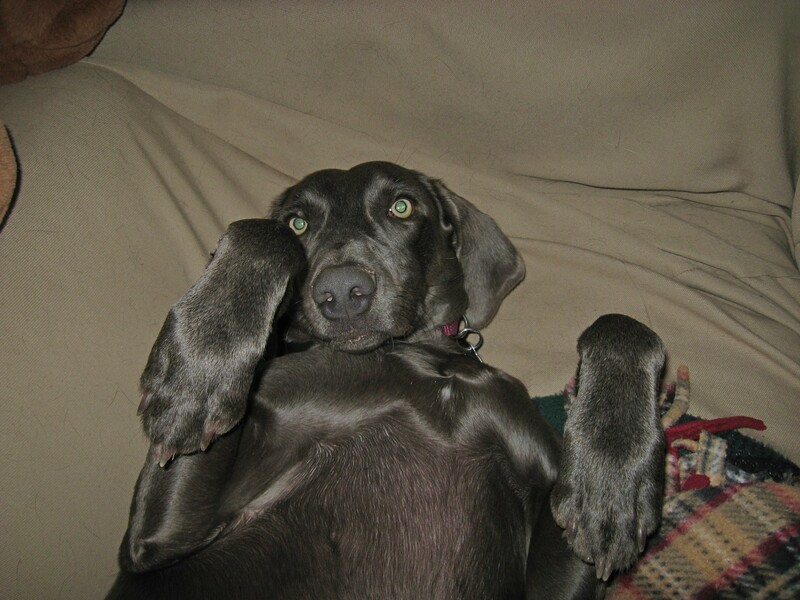 Molly is a Weimaraner— She is just like any other Weim. Velcro… As I write this, she is laying her head on my keyboard licking my hand as if to say, “Dad, give me attention!”. Breeder’s Comment: We are more than pleased with Rodney and Molly’s achievement. For those thinking about doing something like this, it is not as easy as one might perceive. Nonetheless, we encourage you to check out your local options, and to get involved. At a minimum, you will become a better handler, and at the best the two of you will accomplish things not previously possible. As you merge and become a team, you will experience a deeper relationship. There are many misconceptions about the hunt test in general. Participating in the North American Versatile Hunting Dog Association Natural Ability hunt test, does not mean taking an inexperienced pup to the venue to see what they can accomplish. To do so would net a disappointing outcome. The work begins from day one. The more hunt-potential the more challenges you may face, but often when handled correctly things will even-out across the board. Rodney’s Molly appears to be more territorial away from home. The vast majority of issues surrounding the protective-nature usually regard guarding the home property, or ownership–food, crate, or a specific area. 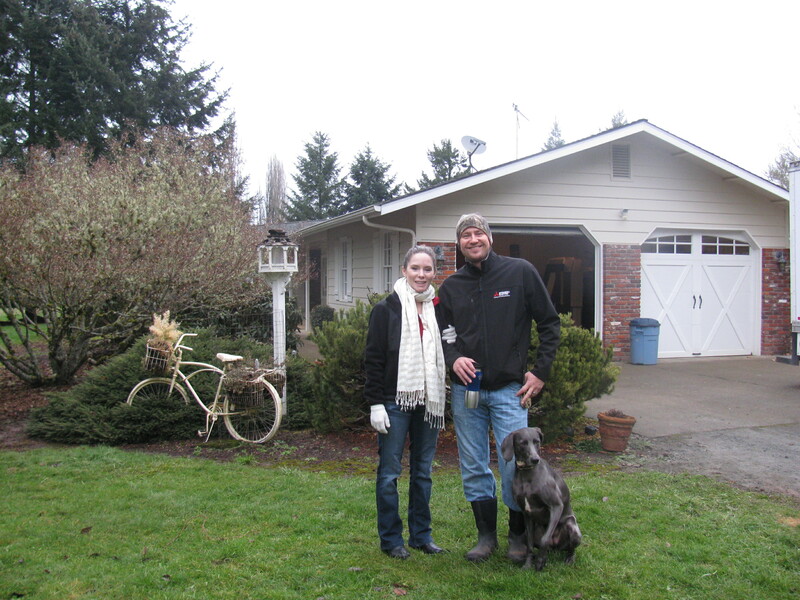 We are very happy to hear that Rodney and Molly plan to continue with the training and the hunt testing. It is a process. 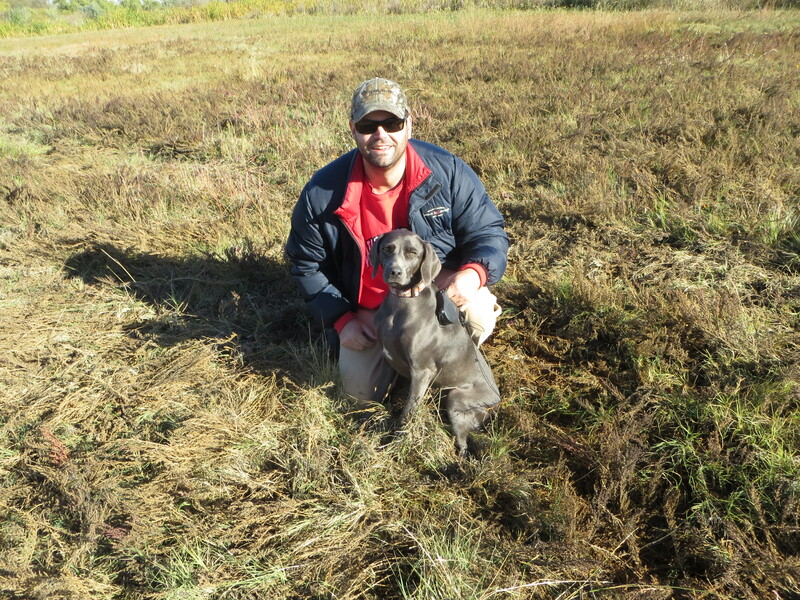 For the dedicated person, the result is a better-balanced Weimaraner on every level; at home, they are better behaved and adjusted, as well as when working in the field. Everything you achieve is based in the relationship. 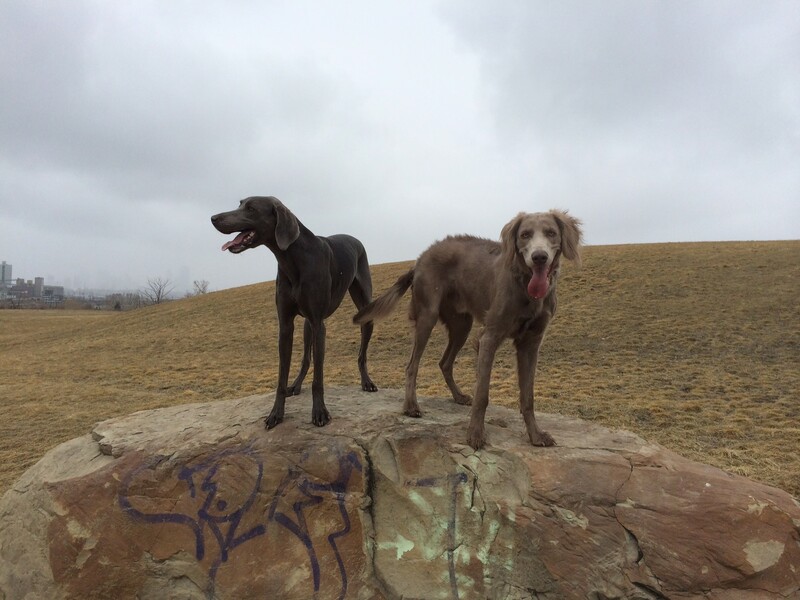 The Weimaraner must want to please, and respect your leadership in order to get compliance. These foundation principles become even more important when you step up to a higher the level of competition. The versatile hunting Weimaraner will be competing in the shadow of other breeds, some of which are (in our opinion) more dogged in their field-approach. 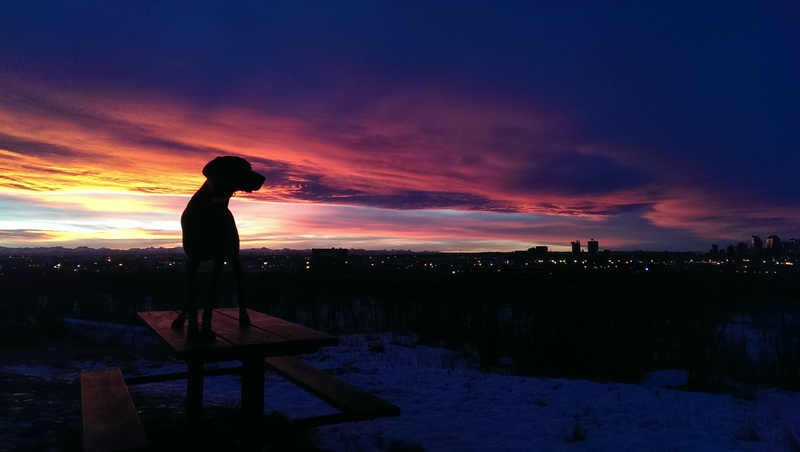 That being said, a well-bred Weimaraner (despite the coat-color or length) can be trained to do some extraordinary things. Nonetheless, this takes dedication and commitment to spend the effort to get the result. While doing so, it is very important to make this fun. 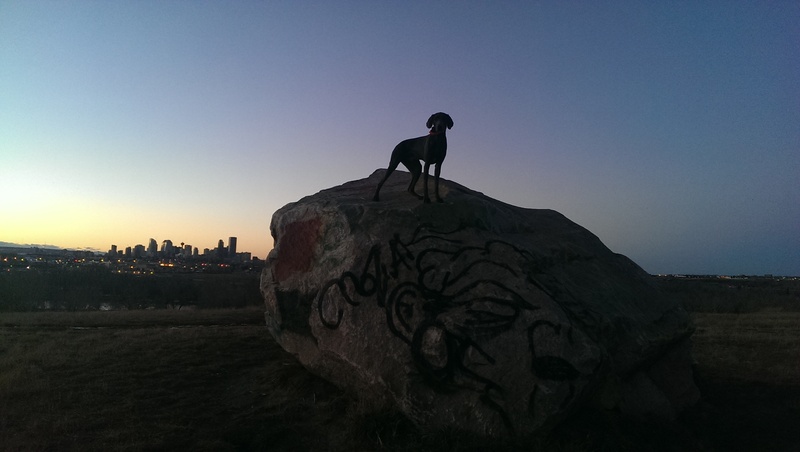 Failure to enjoy yourself, and for the Weimaraner to enjoy the process will be counterproductive at some point in time. One last point here—Molly and Rodney participated in another hunt test (via the Snake River Versatile Hunting Dog Club which hosted the Versatile Hunting Dog Federation (VHDF) held in Montour, ID) Click here to read more about their results from that hunt test. It should be noted that extra credit points can be earned, so a handler can exceed what termed a perfect score. This is like a student who earns better than a 4.0 grade-point average. Once again, we congratulate Molly and Rodney for doing a good job at both the VHDF as well as this more recent NAVHDA hunt test. Keep up the great work!